Robert Carse made his NHL debut with the Chicago Blackhawks in 1939 and continued to play in the Windy City until 1943. Following a few seasons in the Minors, Carse’s rights were sold to the Canadiens on Apr. 23, 1947 by the American Hockey League’s Cleveland Barons. 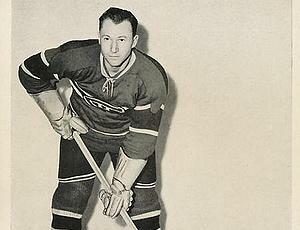 He played the last 22 games of his NHL career as a member of the Habs during their 1947-48 campaign, recording three goals and three assists.